Back to Rapture! 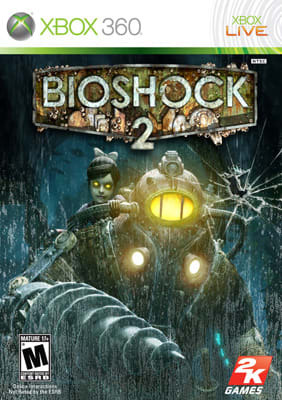 The original Ken Levine brainchild blew everybody's mind, and even if the Levineless follow-up (BS2 was handled by 2K Marin rather than the Boston branch, d.b.a. Irrational Games) didn't have quiiiiite the WTF OMG factor (we see you, Royce! ), it was still a solid game with more beauty and chills than just about any morally nuanced horror-FPS out there. More underwater derelict Art Deco creepiness? Check. More splicers? Yup. More playing as a Big Daddy? Yup. Wait, playing as a Big Daddy? Check, please.